Astronomers and lunar scientists had calculated that there would be a spectacular blood moon on January 18, 2019. 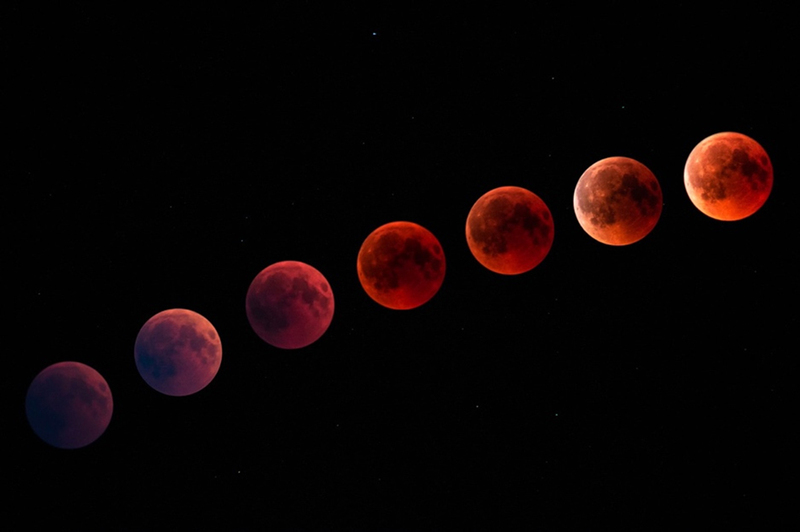 These events are given the name because the moon turns a strong red color before falling into a complete eclipse. However, this was a more than average lunar occlusion. The satellite was also at the closest point to the Earth, as it began this eclipse, thus upgrading its status to a ‘super’ blood moon. In addition, this propitious occasion was also the last of the 2010s. This event took place from the moment the moon rose on January 20, 2019, until it sets, in the early hours of January 21st. The super-eclipse was a ‘supermoon’ as it involved the satellite at its perigee or closest approach to Earth as it orbits the planet. Therefore, the lunar disc, or the part of the moon visible on the planet’s surface as it goes through the ‘full’ phase of its cycle, was at its largest during the event. It was termed a ‘blood moon’ as the solar light that hit it was refracted through the dust in the Earth’s atmosphere at a particularly fortuitous angle. The dust ‘filtered out’ wavelengths of light save for those in the red and orange ranges. Therefore, it was seen that the moon turned orange-ish just before the eclipse. Who Could See the Supermoon’s Eclipse? Unfortunately, unlike the last blood moon, the super blood 'wolf' moon was not directly visible to nearly everyone on Earth. The full eclipse, from first to final penumbra, was visible to a face of the planet that mostly encompassed the Americas. However, some more easterly countries, including Iceland, Norway, Ireland, Portugal, and the United Kingdom, also squeezed into this bracket of full lunar exposure. Much of the rest of western Europe, in addition to some of western-most Africa, were able to see the event, albeit not from the beginning. The rest of Africa, in addition to much of the Middle East, saw the eclipse at moon-set. The rest of the world, however, was not able to see any of it, at all. In any case, those in overcast regions weren't able to recognize it regardless of location. Though, these unlucky enthusiasts could enjoy the eclipse via a webcast of the event available, broadcast by the group Astronomers without Borders. 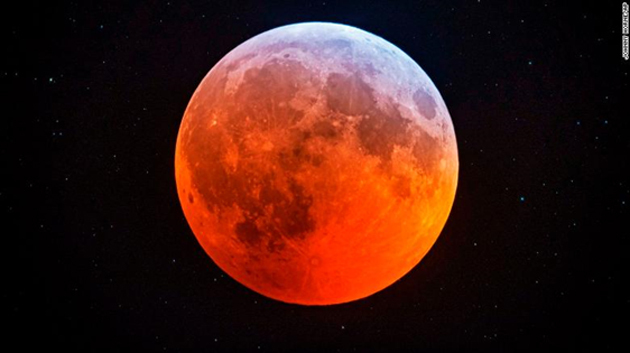 The live streams were filmed at locations, such as California and Florida, for that total super blood wolf moon experience. The super-eclipse was scheduled to last 3.5 hours, beginning from the moment at which the Earth’s shadow (or umbra) started to occlude the lunar disc. This was also the point at which the moon started turning red. Ironically, it was the most colorful just before it completely fell into the umbra. This was followed by a second penumbra, in which the moon appeared to emerge from the shadow again. Hopefully, a large number of watchers were able to view and enjoy this total lunar eclipse, the last one until 2021. Until then, there will be one partial eclipse in July 2019, followed by two penumbral eclipses in 2020. Therefore, the super blood wolf moon really made a name for itself in terms of outstanding eclipses in this decade. We, at EvolvingScience, hope you enjoyed your moon-watching this weekend!